For the Sunday night home game against Hull Jets, Wild welcomed back Tom Ratcliffe and Daniel Bullock made his home debut. 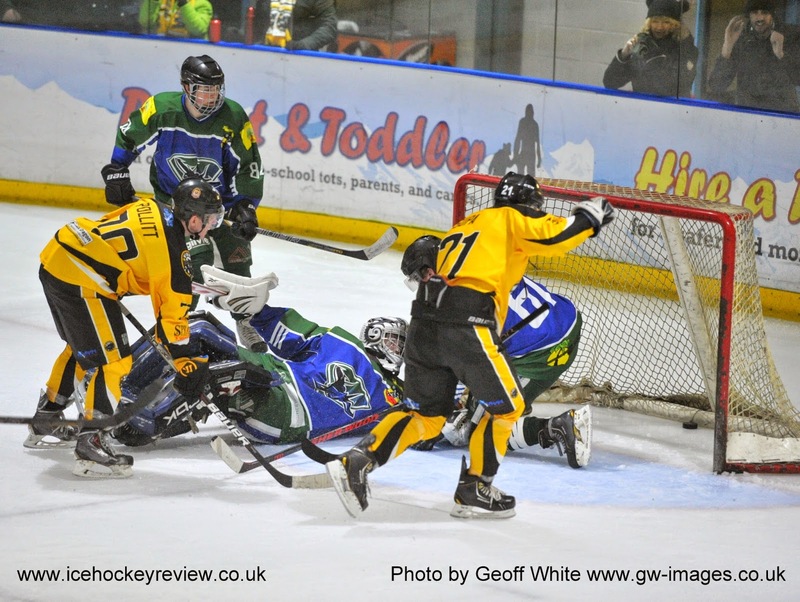 Sheffield based netminder Josh Benstead and George Crawshaw were also added to the roster. Like Wild, the Jets are also keen to take an end of season play off place. Both netminders were called into early action in an end to end start. At 3.27 Wild took an early lead, Lee Pollitt and Callum Ruddick combining to set Shaun Dipnall free to fire high past Jack Dalby into top left corner of the net. Inside a minute, Filip Supa brought a great save from Dalby just inside the post. Despite Widnes pressure Hull counter attacked and Ben Spurgeon beat Greg Ruxton with a long range equaliser at 7.38. Inside two minutes, Wild were back in the lead - Kieron Strangeway and Ben Brown breaking out and feeding Sam Dunford who fired home between Dalby's pads. Wild continued to press and only a series of fine saves by Jack Dalby prevented further scores. Hull were a constant threat on the breakaway with Kieron Beach constantly troubling the home defence. The second period was less than two minutes old, when the home side extended their lead - Matt Wainwright and Ben Brown sending Filip Supa clear to shoot low past Dalby at 21.19. The goal spurred the Jets into frantic action with Greg Ruxton making a series of fine saves. A tripping minor saw Wild defending resolutely but riding their luck. Ruxton made a number of great blocks and Pavel Vales was working overtime, repeatedly repelling Hull attacks. The pressure eventually told with the period drawing to a close. A looping angled shot from the left by Ben Sturgeon appeared to deflect and drop over Greg Ruxton to bring the score to 3- 2. As with the game at Nottingham the double header weekend resulted in tired legs amongst the home ranks. The final period opened in sensational fashion, with a Widnes shot appearing to strike both posts before the puck was cleared. Two minutes later Dalby stretched to make a briliant pad save at the right post. A searching pass up the ice saw Kieron Beach in space on the left and he hit a low shot past an impeded Greg Ruxton at 43.12 for an unlikely equaliser. The goal shocked Widnes into aggressive action with Vales and Bracegirdle both having shots well saved. Tom Jackson found himself in space and he fired through several players pst Dalby to regain the lead for Wild at 46.17. Shaun Dipnall and Filip Supa had worked well together to create the scoring opportunity. Widnes scored a fifth and deciding goal at 50.34 when after several panic clearances, Lee Pollitt took possession and shot home from close range. Dipnall and Supa were again instrumental in opning up some space. Shortbenched Jets were tiring and Supa and Bullock both saw powerful shots saved by Dalby who faced an incredible 29 shots in an all action final period. This was a vital win against close rivals and Wild travel to Telford next Sunday trying to upset the odds to secure more vital points in their pursuit of a play off place. Daniel Bullock took the MVP for Wild - his physical presence bringing vital possession in the away end.